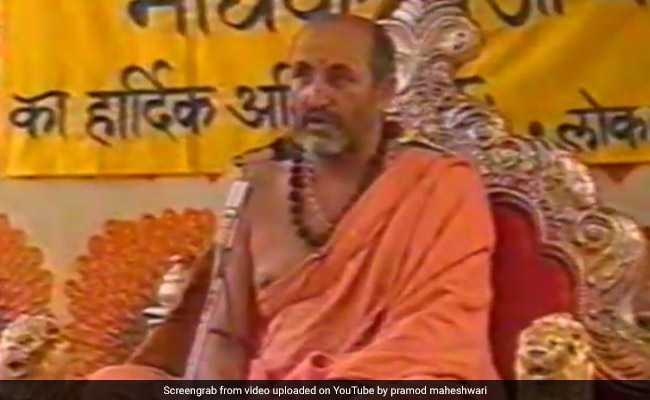 The Sanskrit scholar Madhavashram Maharaj, whose body was brought to Uttarakhand today, was given a ceremonious burial at an ashram in Rishikesh. Madhavashram Maharaj had been residing in Chandigarh for 2 years after suffering a paralytic attack. Dehradun: Badrikashram Jyotirpeeth Shankaracharya Swami Madhavashram ji Maharaj died at the age of 73 on Friday in Chandigarh, where he was staying after suffering a paralytic attack about two years ago. The Sanskrit scholar, whose body was brought to Uttarakhand today, was given a ceremonious burial at an ashram in Rishikesh. Uttarakhand Chief Minister Trivendra Singh Rawat was among the several people who paid their last respects to the Shankaracharya. "The Shankaracharya had great command over many subjects and his life was dedicated to Sanatan traditions. He always taught the society to tread the correct path," the Chief Minister said. Swami Madhavashram had been staying in Chandigarh ever since he suffered the attack.